Sound is important. You know, if you are trying to listen to something, you will need some sound. It’s basic science. Over on the DL Deals Store, you can pick up a DASH A Bluetooth Soundbar Speaker for $99, 50% off its usual price of $199. 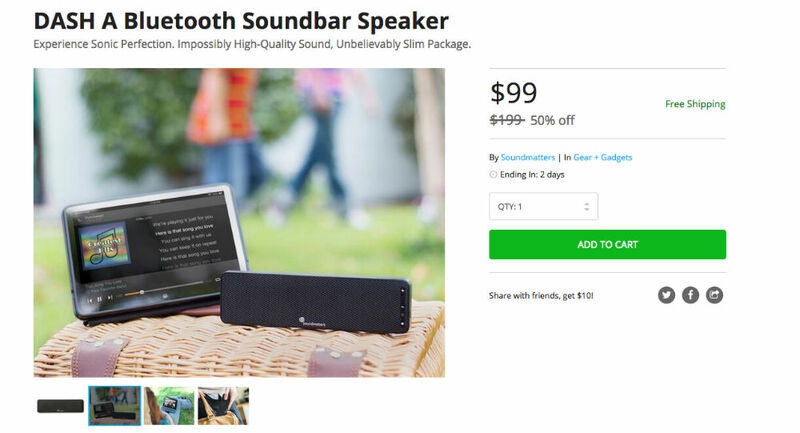 This soundbar is not like the one that may be hooked up to your TV in the living room. It is small and portable, allowing you to transport it to wherever you may need it. It features wide-range playback, coupled with rare-earth neodymium drivers. Any Bluetooth device you have can be synced up, such as a smartphone or tablet, and with its hefty built-in battery, you can enjoy up to 10-hours of audio playback. If this portable sound bar piques your interest, follow that shiny link below. 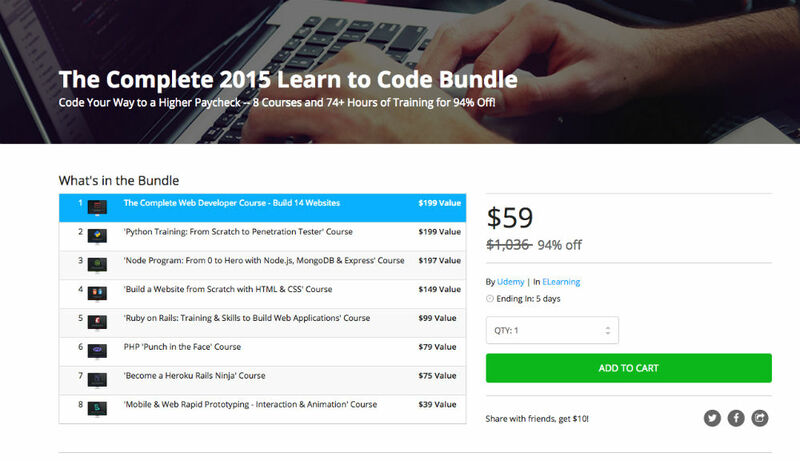 Taking place over on the DL Deals Store, you can grab the Complete 2015 Learn to Code Bundle for just $59, with a value of the bundle set at over $1,000. Inside, buyers receive 8 courses in total, ranging from classes on website building and Ruby on Rails, to HTML and Python training. Each course is filled with countless lectures, plus hours of content for you to go through. If you are taking development seriously, this would be a good bundle to grab. In total, there is over 76 hours of content, meaning you shouldn’t come away bored after getting started. To start, for most of the courses, all you need is an Internet connection. You don’t even really need past experience, but for a couple of the classes, a bit of background is recommended, but not required. If this deal interests you, click the link below.